BB-3 a deep depression, lay almost in the same position , South off the coast of Bangladesh. Estimated core winds are 35 knts, and estimated core pressure at 990 mb. Very strong convective bands seen in Souther Quadrant. Initially now, BB-3 will move North, into Bangladesh. 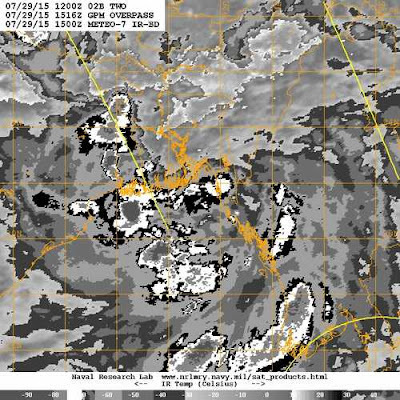 Subsequently, it will move NW, due to interaction with Sub Tropical Ridge. This will start pushing in (comparatively) dry air around the system, and due to land interface, BB-3 will weaken gradually over West Bengal. Expecting increasing rains in Gangetic West Bengal and Odisha. Kolkata will get frequent showers, some prolonged and heavy with gusty winds from Thursday thru Saturday. Would expect accumulated rainfall amounting to 130-150 mms Thursday -Saturday. Bhubaneshwar too would get frequent intensity rains, amounting to 80-100 mms from Thursday night thru Saturday. 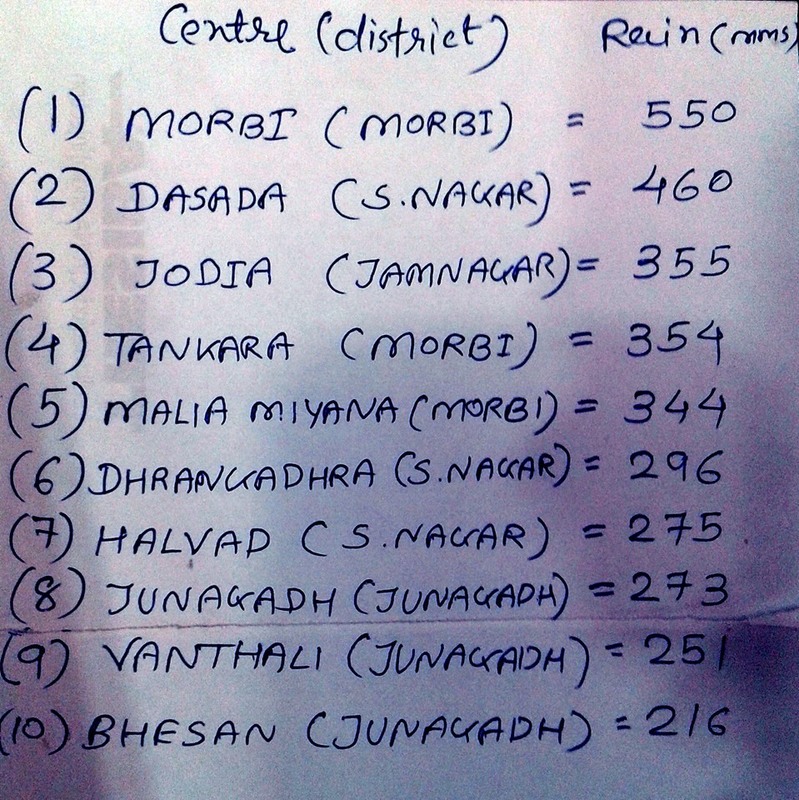 Last 3 days rain totals after the downpour in Gujarat (compiled by Gaurav Raninga). See Mumbai Page for Mumbai Water Storage and availability. 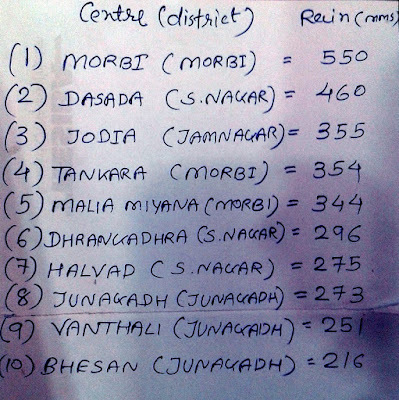 Rajesh sir, this rainfall data is for saurashtra only...not for all gujarat. .. This is the first Tropical Storm in Bay in July since 1989 I read. It seems it wont activate off shore through off west coast.